Prior to 1936 Catholic nuns were forbidden by Canon law from practicing medicine or midwifery, as these were deemed a threat to their vows of chastity and obedience. Only after a lengthy campaign of propaganda and action by a number of pioneer women doctors, and male and female religious was this Canon law rule amended. The Medical Missionaries of Mary is an Irish congregation of medical and nursing nuns, founded in 1936 by Mother Mary Martin directly after this reversal of the Canon Law ban. From the very beginning Mother Mary had intended to recruit nurses and doctors to tend to ‘the mother and child in Pagan lands’. Issues quickly arose however over how to properly integrate a religious vocation (that demanded obedience, subservience and humility) with a medical profession (that demanded decisiveness, independence and authority). One way of managing these contradictory claims was through a strict religious and medical training. The Sisters training to be Doctors resided as a student community in the congregation‟s House of Studies, under the watchful and controlling eye of Archbishop Charles McQuaid. The student-Sisters lived a regimented life of prayer and study, learning to cultivate and master their interior selves. In the Catholic University, they were to behave as secular students. They wore discreet lay dress and attended all the required lectures. 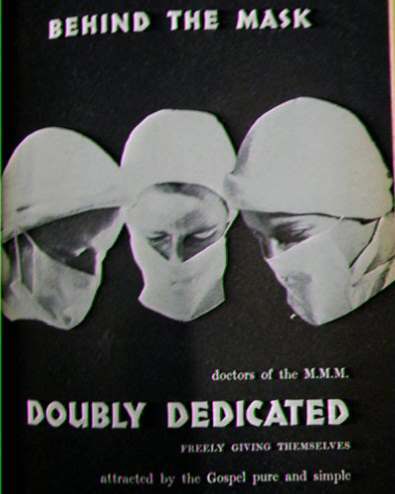 Using missionary magazines, oral history and personal letters, this paper will examine the unique experience of Irish nuns who trained as doctors in the mid-twentieth century. It will first examine how the Sisters’ narrated their experience of this dual training, and will then briefly consider whether this training was ultimately successful by examining their experience on the missions.